It can be hard to resist the allure of a mysterious object found in a context that doesn’t seem to make rational sense, suggesting that it’s proof of time travelers, lost civilizations or alien visitors. You don’t have to be a conspiracy theorist or a cryptozoologist to marvel at a bizarre computer-like device that dates back to Ancient Greece, or a 2,000-year-old battery found outside Baghdad in the 1930s. So-called “Out of Place Artifacts,” also known as OOPArts, are often said to “baffle scientists,” and conspiracy theorists suggest that scientific efforts to identify their origin and purpose willfully ignore potentially controversial explanations outside the mainstream. After all, it’s true enough that science is constantly evolving, and we still don’t have the answers to many of life’s mysteries. But imagine how everyday objects from our own times might be misinterpreted thousands of years from now if information about how they’re used doesn’t survive. A lot of artifacts become “out of place” because their original context might have provided important clues, but the object was moved and that context is lost. When we’re so far removed from the original circumstances in which a historical object was created, it’s easy to let all sorts of things cloud our conclusions about what those objects represent. 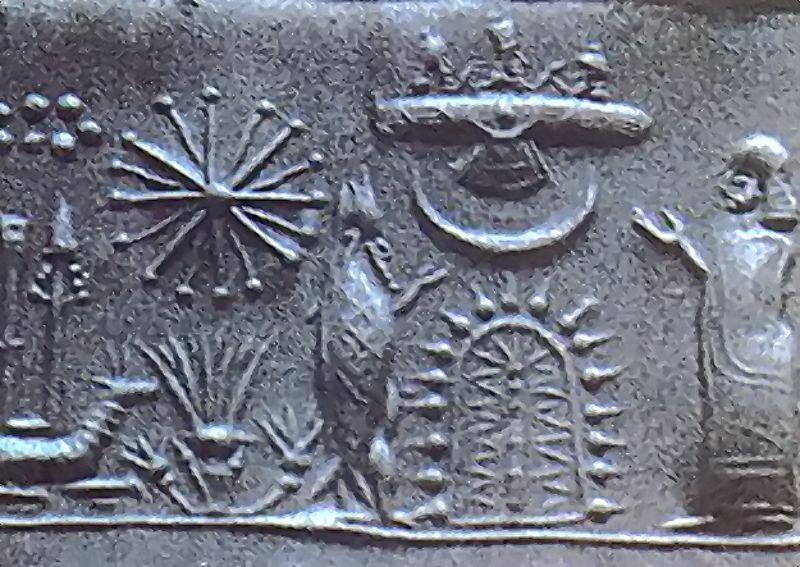 How do you explain a sarcophagus lid that appears to show a spaceship, primitive sculptures that look like airplanes or cave drawings resembling astronauts in space suits? Some proponents of “ancient astronaut” or “ancient alien” theories posit that intelligent extraterrestrial beings visited Earth thousands of years ago and made contact with humans, potentially influencing their technology. These visitors might have even been misinterpreted as gods, the theories muse. The supposed proof of these theories lies in drawings like the petroglyphs of Val Camonica, Italy, which depict figures with ‘helmets’ around their heads that could just as easily be ceremonial headdresses or have some other, more down-to-Earth explanation. Ancient astronaut proponents also cite artifacts like a Mesopotamian cylinder seal that sort of looks like a spaceship, since it’s just sort of hovering there – although the first use of linear perspective wasn’t seen in art until the late 14th century, so the position of objects on a field in an ancient composition doesn’t necessarily mean anything significant. 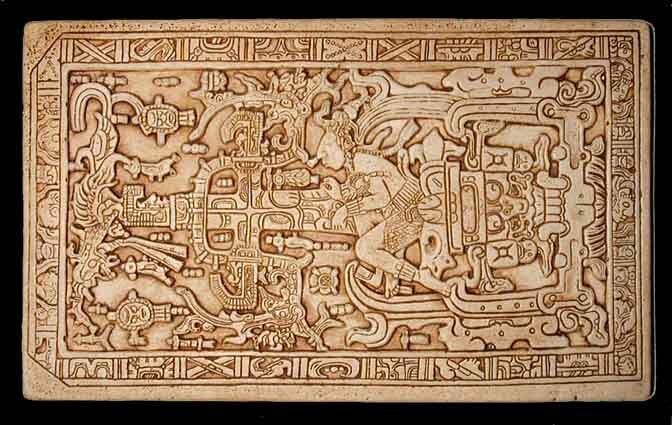 A 1968 best selling book by Erich von Däniken interprets imagery on the lid of a stone tomb belonging to K’inich Janaab Pakal I (Pacal the Great), a Mayan ruler who died in the year 683 CE, as a depiction of extraterrestrial influence on the ancient Maya. 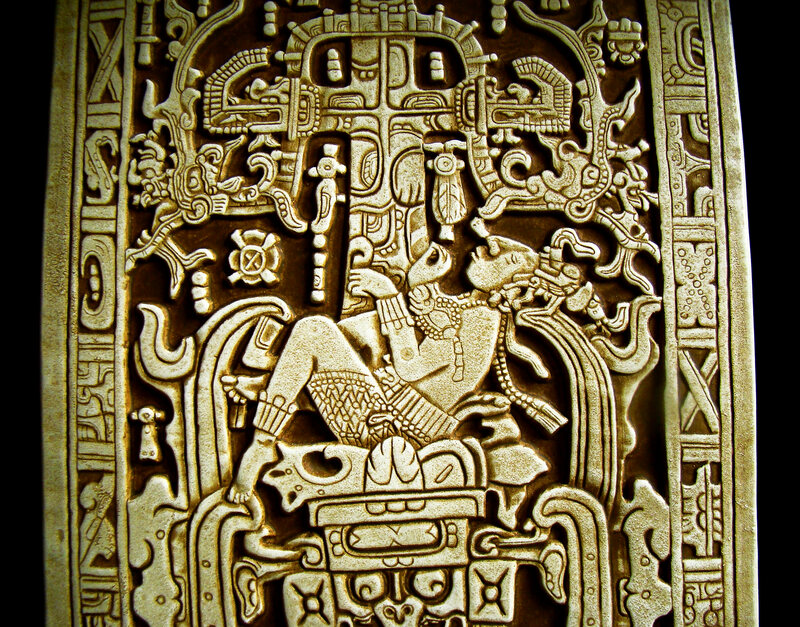 …Or, Pacal could be sitting on a pillar in front of a stylized temple – among many other plausible explanations. What all of this shows us is the extent to which wishful thinking can alter our interpretations. If we really want to see the helmets of astronauts, that’s what we’ll see. It’s obvious how the so-called Helicopter hieroglyphs found in Abydos, Egypt got their name. Those images really do look like modern aircraft, right? 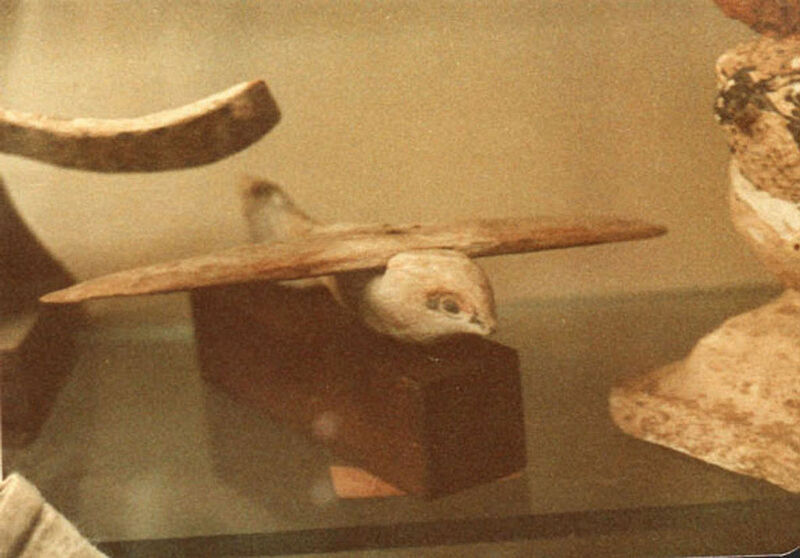 Then there’s the Saqqara Bird, a sculpture made of sycamore wood discovered during the 1898 excavation of the Pa-di-Imen tomb in Egypt, which dates back to about 200 BCE. Some people have suggested that it might be evidence that ancient Egyptians developed the first aircraft many thousands of years ago (possibly with the help of aliens.) The Quimbaya Artifacts, a collection of tiny golden figurines found in Colombia and dated to around 1000 CE, look a lot like flying objects, too. When it comes to investigating OOPArts, the best tool might just be Occam’s Razor: the principle that the simplest explanation is the most likely to be correct. The simple explanation for all of these objects is that we’ve taken a lot of inspiration for our airplanes, helicopters, spaceships and drones from nature, and abstracted birds look a lot like planes. Archaeologists say the Quimbaya Artifacts are just highly stylized birds, insects and amphibians. 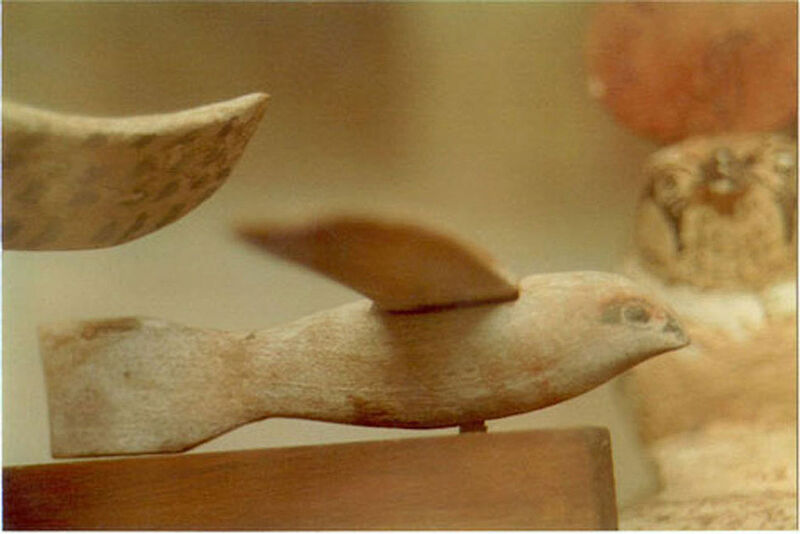 The function of the Saqqara Bird is unknown because very little documentation of the period survives, but no credible evidence of Egyptian aircraft has ever been found. And though they might be the most puzzling, the Abydos “helicopter” hieroglyphs aren’t what they seem at first glance: the original carved images have been altered over time due to the carved stone being re-used over the centuries, creating overlapping images. The Klerksdorp spheres discovered by miners in South Africa seemed like they had to be man-made, owing to their supposedly perfect proportions, but they were estimated to be 2.8 billion years old. Does that mean they’re evidence of advanced pre-human civilizations on Earth – whether some other species from this planet or extraterrestrial – as suggested by Michael Cremo, author of Forbidden Archaeology: The Hidden History of the Human Race? Nope. 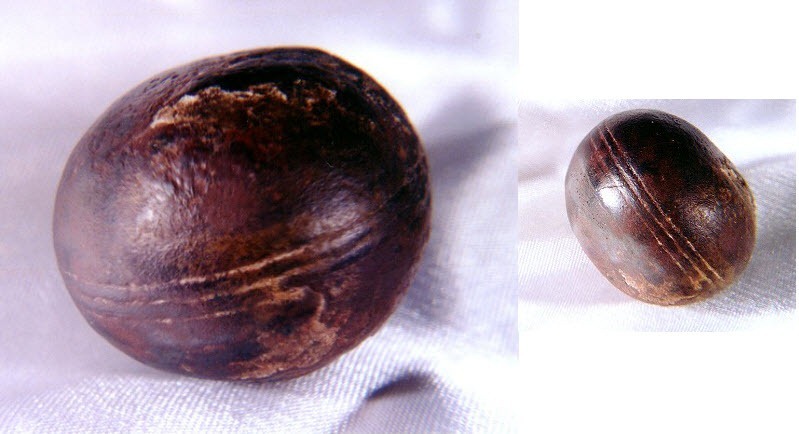 Though they certainly look hand-carved, these spheres are far from perfect, and most geologists agree that they were naturally formed as concretions formed in volcanic sediments or ash. The grooves were likely produced due to the varying permeability of the layered sediments in which the stones were formed. It’s pretty easy to confuse natural formations for man-made creations given the complexity of nature and its ability to surprise us. Just look at the Giant’s Causeway in Northern Ireland, the faces we’re constantly seeing in rocks and many other misleadingly sculptural features. Less Complex Than They Seem? 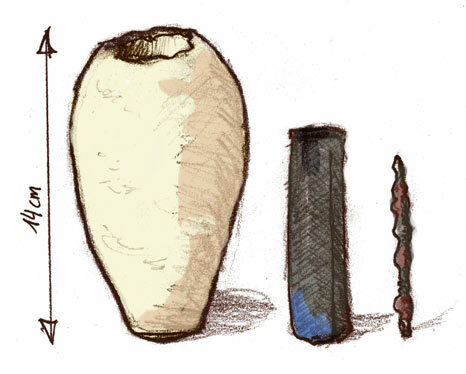 When the aforementioned Baghdad Battery was discovered in modern Khujut Rabi, Iraq, near the ancient metropolis of Ctesiphon (150-650 CE), it was really just three distinct objects: a fired ceramic container, an iron rod and a bit of rolled sheet copper. Wilhelm König, an assistant at the National Museum of Iraq at the time, thought it looked like a primitive galvanic cell, and theorized that it was used for electroplating gold onto silver objects. About a decade later, a man named Willard Gray made a reproduction of the objects, put them together and filled the vessel with grape juice to prove its conductive properties. But if it is a battery, it’s not a particularly effective one, and it’s just as likely that the objects weren’t even meant to fit together in this way. Though its origin and purpose are still unclear, most contemporary archaeologists don’t believe it’s a battery at all, noting that the vessel and rod might have just protected papyrus scrolls. Perhaps it’s helpful to remember that you can make all kinds of things that aren’t really batteries produce electricity, including potatoes. To the surprise of pretty much no one, a lot of supposed Out of Place Artifacts are just forgeries and hoaxes. 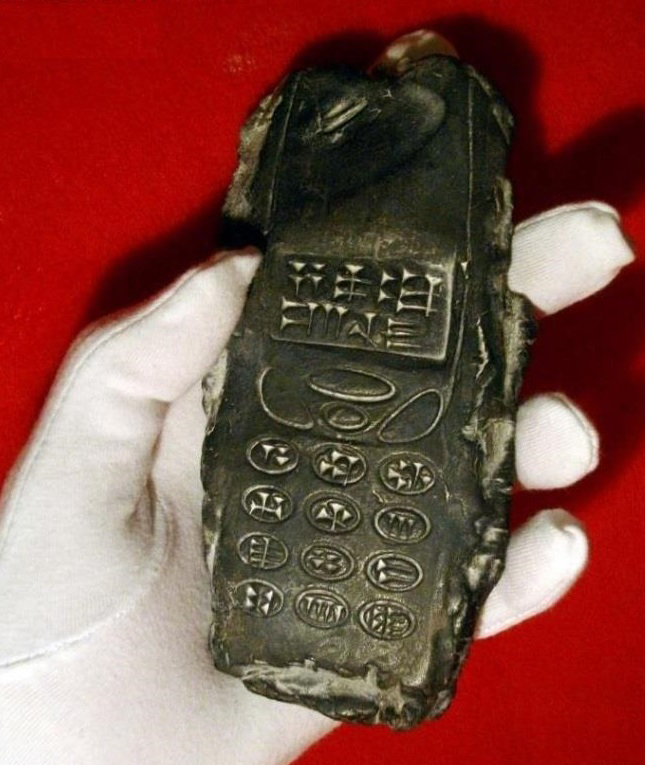 When images of a clay object resembling a modern mobile phone emerged online in 2015 along with the explanation that it was discovered during a dig in Austria, eager theorists were quick to declare it obvious evidence of time travel. As it turns out, the “Babylonokia” is a sculpture by German artist Karl Weingartner. But what about enduring mysteries like the Antikythera Mechanism, which is believed to be an ancient Greek analog computer used to predict astronomical positions and eclipses? 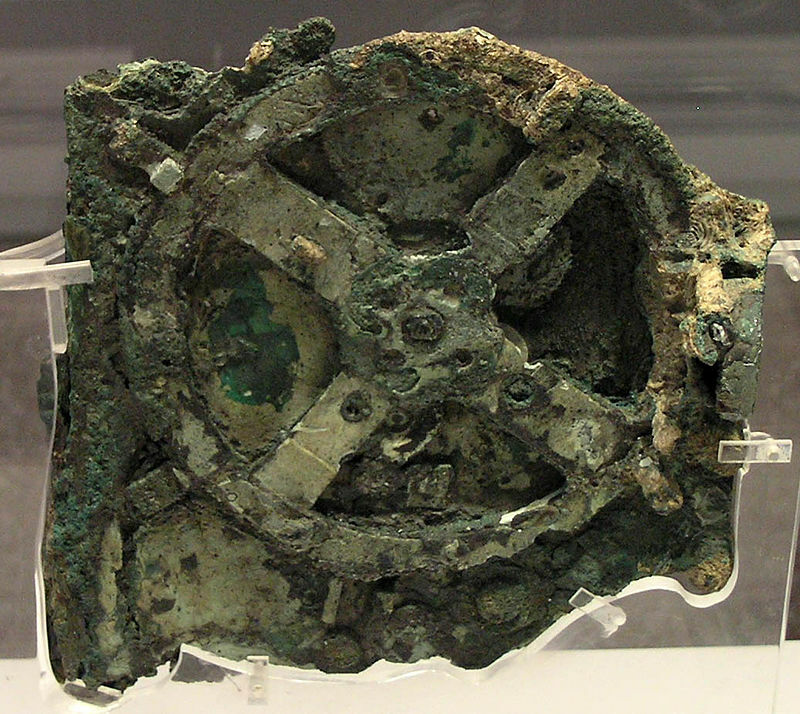 The device, discovered among wreckage off the coast of the island of Antikythera, dates to sometime between 87 and 205 BCE and consists of a complex clockwork mechanism with at least 30 bronze gears. As far as we know, this is no hoax or misinterpretation. It’s certainly a lot more advanced than most of the surviving artifacts from that place and time, but makes use of contemporary Greek astronomy and mathematics. Humans of Ancient Greece and roughly concurrent societies might not have had cars, air conditioning or wifi, but their technology was often more advanced than many of us imagine. All sorts of things could have been developed, used and then forgotten as civilizations rose and fell and so much of that all-important context disappeared over time. Archaeology is a puzzle, and without all the pieces, we’re often just guessing. Which is why it’s important to note that scientific consensus can shift and change, too. Few conclusions are fully set in stone, so to speak, and we never know when we might receive new information that changes our perceptions.